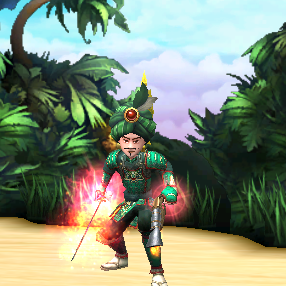 I’m sure that anyone who’s done PvP in Pirate101 and has gotten beyond 200 rank has run into the issue of being unable to pull matches in an efficient time frame. The common explanation is that “there aren’t enough people playing”, particularly at high ranks. While that’s true, the whole story goes a lot deeper than that. As someone who has avidly competed in Ranked PvP on multiple characters and rank ranges in the past 8 seasons, I feel that I have as good a knowledge of the queue as anyone. Unlike in Wiz, Pirate doesn’t have an active low or mid-level PvP. Thus, the low level + high rank VS high level + low rank matchups that occur frequently in Wiz cannot occur in Pirate. While there might be some people doing PvP at say, level 60-65 for the memes (and the system may occasionally glitch and give you a player below level 10 with no rank), the amount is negligible and can be ignored. This is another stark contrast from wiz. Since the season is 90 days and there is no leaderboard, there’s no real reason to continue beyond 400 rank currently. Unlike wiz, where all matches net 16 rank for the winner, Pirate PvP follows an ELO system. You gain fewer points for beating people much higher than you. This makes it harder to rank up if you continuously pull lower rank foes. The total rank gained by players in legitimate Battle Royales nowadays is near zero. This model assumes all Royale matches are illegitimate (boosting). If people boost to 200-300 rank THEN attempt to rank in 1v1 legitimately from there, it messes with the model. This is the most important assumption and it follows from the preceding ones. Since all matchups are done between players of the same level and all matchups are done in 1v1, players will only be able to pull opponents within approximately 2 full tiers (100 or fewer points in each direction) of their own due to the restrictions KI has put in place. 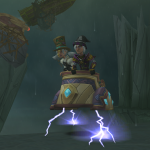 With that out of the way, let’s get in to how the matchmaking system in Pirate101 works. Let’s start from the beginning of a season. Every player’s rank is zero (Tier 1), so every player will be able to pull every other player. Some time passes, the most skilled players win consistently, increasing their rank rapidly. Since zero is the lower limit of rank in Pirate101, the least skilled players hover between say, 0-25 rank, and the remaining players are spread out between the most skilled and the least skilled, gaining rank slightly more slowly. Since the highest ranked people are in tier 3, they are unable to pull most of the people in tier 1 (an exception would be someone high in tier 1 matching with someone low in tier 3). This means that the highest ranked people can only pull about 75% of the players now (probably slightly more since not everyone in tier 3 will be at the top of tier 3). Naturally, they’ll take slightly longer to get matches, but not too much longer. Time continues to press on, and the same general trends continue. Some of the low-skill people will jump up in to tier 3, as their matches have become more favorable (minimal high skill opponents). The medium skill people will continue to increase their ranks. The high skill players will begin to separate themselves once more. The top, say, 2/3 of this group will continue to rise rapidly. The rest will rise more slowly, as they begin to lose a few more matches. Once again, let’s look at the top Tier of players. Remember, Tier 5 ranges from 200-250 points. The people at the bottom of tier 5 can pull about 50% of the current ranked population, and the top, a mere 25%. Since the initial population of rankers is so small, 25% of the population is likely to mean < 10 people. This translates into fairly long wait times for matches. The people in the middle tiers have more than likely hit their permanent range for the season. The top of tier 4 may continue to climb into tier 5, and some people in tier 2 may drop or climb slightly, but overall, the lower and middle tiers are fairly constant. People within these tiers are winning at about a 50% win-rate and no one is consistently beating anyone else enough to rank up beyond that. For instance, in this current season, I’ve had no problem pulling matches during peak hours fairly quickly on my lower rank characters. However, once I pass ~200 rank (entering tier 4), wait times increase dramatically. What happens to the top tiers though? As always, let’s look at the top tier of people (who are now between 300-350 rank). People at the bottom of this rank interval can pull about 20% of the population, while the top of tier 7 can only pull between 10 and 15% of the population. This is where we are in the current Fall Season. My swashbuckler happens to be at the top of Tier 7 at the moment, with 2-3 more players within this tier. Let’s assume I continue to climb in the ranks. As time goes on, I’ll be able to pull increasingly small portions of tier 6 (250-300 rank), as my rank will be approaching 400 points. This means I, and anyone else in my scenario, will be able to pull a mere ~5% of the ranked population. 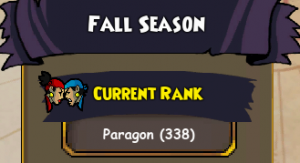 Pulling matches in this rank range can be nearly impossible! Due to schedule or time zone differences, this may mean I cannot pull any matches. However, for the sake of completion, let’s assume that the people in tier 7 are able to pull matches, and some of them begin to separate from their competition for a final time. This is a fairly bleak picture, if you ask me. Only ~1/30 of the people who rank will reach champion (or get near it) in a given season, which is normally about 3-4 people. In addition, this percentage does not depend on the skill of the players. The top 3%, regardless of actual skill, will reach the high ranks in a given season. For instance, this past spring, many of the ranked “regulars” were inactive. This meant that this 3% was filled with newer players. On a more pessimistic note, if these “regulars” are around, they will tend to take up the slots in the highest tiers, making it hard for new players to obtain champion rank unless they are extremely skilled. However, this model I showed above, assumed that no one new entered ranked in the middle of a season and that no one quit queueing up, unless they reached champion. This means that the amount of people ranking remains constant until 1 or more reach champion. This isn’t the case in reality. People will take hiatuses, switch to different characters, or quit ranked PvP entirely during the season. This is particularly problematic when people in the highest tiers leave for a time. The high ranks (250-400) are normally populated with around 7-10 people. If one of them leaves (maybe due to a membership ending, or because of frustration with the difficulty of getting matches), that’s one less potential match for people who remain. This makes it harder and harder for the people at the top to separate themselves and reach champion. Two things can happen when a high rank player takes a hiatus. If the player was in the highest rank ranges (tier 7 or low tier 8), that likely means there are only 1-2 other people alongside them. These people will probably be playing at a ~50% win rate against each other, and will slowly gain rank by beating people lower than them. Eventually, this small group will find it impossible to pull people outside of the group (they will be > 100 points away from the next populated tier). Thus, they can only pull each other. Since there are fewer people in this tier (since one of them left), it’s quite likely this group will become “stuck” where they are, until one person gets a lucky string of wins, reaches champ, and leaves queue or until the season ends. If the player was in a slightly lower rank range (tier 6 or low tier 7), there will be fewer matches for the highest tier players to pull. Like in the previous example, the top tier will separate, but at a lower rank (maybe 360 as opposed to 375) and with a few more people. This top tier is now all alone, only able to pull each other. No one will reach champion, unless someone can string together a series of wins in their tier. As you can see, even one person leaving queue at the high ranks ranges will make it more difficult, if not impossible to reach 400 rank (champion). Someone leaving, taking a hiatus, or not renewing a subscription is very likely. Next, we’ll look at how people respond to this scenario. In the long term, people will realize they will almost always get stuck at paragon each season. Knowing that their final outcome will be paragon boosting, and knowing that they are skilled enough to reach paragon, they think in frustration, “Why don’t I just boost the whole way?” They boost the whole way, or don’t enter ranked at all due to apathy (these are effectively the same thing in this model). This is one less matchup, and even worse, one less high rank matchup for legitimate players. The remaining players will get even more frustrated, as getting matches has now been made harder. They may then leave the following season. This domino effect will continue, and the average “peak” each season will get lower and lower. Seeing nothing but these words while ranking is quite frustrating! As I just noted, the long term effects of the current ranked system will be a steady decrease in players (particularly high-skill players, who become increasingly frustrated that they cannot get matches reliably) and a steady increase in boosting. I hate boosting, and I obviously want more players ranking, which will allow more new champions. So, how can KI fix the matchmaking system to accomplish these goals? If KI was to increase the window in which you can get matches (maybe 150 rank instead of 100), it would be much easier to pull matches at every rank range. Yes, this could make new players get more mismatches, but practice against good players is the best way to “git gud.” In addition, there are online guides and youtube channels for most of the classes, which guarantees that a motivated player can find resources to set their character up for success upon entering rank. There have been no new Champion weapons since the cycle was completed in Spring 2016. The same is true for mounts. The pets, while attractive in a cosmetic sense, have nothing to offer in terms of new talents. In addition, there is no leaderboard for ranked PvP. Adding a leaderboard (maybe with weekly rewards tied to it) would incentivize continuous participation in ranked PvP, even after obtaining all the champion weapons. Increasing and diversifying the rewards of Ranked PvP would also encourage more players to enter. Maybe KI could create a new set of champion weapons for each season to sell alongside the old (or add hybrid variants of the already existing ones), or, they could add non-weapon gear to the current vendors, such as accessories with unique powers and new stitch gear. This solution involves giving each player 2 ranks. The first would reset seasonally, as normal. 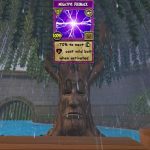 The second would reset infrequently (similar to a wizard101 PvP age), maybe once every year or two. Matchmaking would focus almost entirely on level rather than rank. The maximum gap between the infrequently resetting ranks would be 200 points at lower ranks, and 400+ at very, very high ranks. This allows people to get matches much more frequently. At this point, we would just need incentives to participate at high ranks. These incentives could include leaderboard spots (obviously), and these leaderboard spots could be tied to weekly or monthly scrip (or crowns???) rewards. The seasonal rank would function as normal, but would have no tie-in to matchmaking. You would have to gain 400 rank each season to purchase a champion weapon. In addition, since there are 2 ranks now rather than 1, we would need to remove the ELO portion and make each match give a constant rank increase for a win and loss. 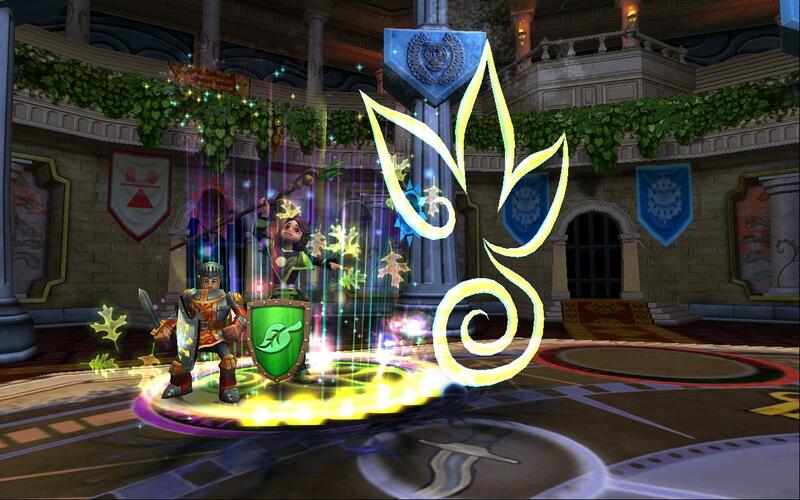 I propose 16 points, as that seems to work in Wizard101 PvP. Should we have hybrid champion weapons? I certainly think it would be a good idea. What are your thoughts? Agree? Disagree?